T-Mobile has been working hard, especially since the failed merger with AT&T, to add the 1900Mhz band to its HSPA+ network. This band is important, because without it many unlocked devices (like iPhones) cannot get high speed mobile data on T-Mobile's network. 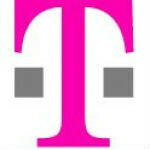 Well today, T-Mobile has expanded its unlocked-compatible HSPA+ network to now cover 100 million people. T-Mobile has just added five new markets to the official 1900Mhz coverage map: Chicago, Reno, Sacramento, Fresno, and parts of Southern California. These additions bring the total official coverage to 23 markets, and T-Mobile says that covers about 100 million people, which is a pretty solid number considering T-Mobile also just recently announced that it will start offering Apple devices starting next year. Of course, we have to keep saying "official coverage", because T-Mobile is constantly working on the upgrade, and some areas like NYC and Boston have already been seeing the new spectrum at work. The unofficial, crowd-sourced 1900Mhz coverage map can be found here. Glad to see this, I've been with T-Mobile for quite some time, and been noticing some definite improvements with their service. If they continue to grow the 1900 Mhz band and if their plan of opening up their LTE network to cover over 200 million people by end of next 2013, T-Mo can be a legit force once again. Anyone from Chicago using an iPhone or an unlocked phone, care to comments on its performance on the network?! i have family in algonquin using iphones 5 on t-mobile and they told me that they get decent 3G coverage there n in lindenhurst, naperville and in many more places in chicago there only complaint was that 3g coverage is spotty inside buildings that they get like 1 bar of 3g in buildings n as they go in deeper the building phone drops to slow edge n they get 3-4 bars of edge i wouldnt know cuz i dnt live in chicago sorry :S .. if its true what they told me then thats good for tmobile customers in chicagoland i just wish they did that over here in puerto rico then i would switch to them only reason i dnt its cuz tmobile is the only carrier with less 3G over here most of its coverage is edge tru out the whole island.. only at&t has 3G in all the island and LTE but its ridiculous expensive which sukzzz -_-"
I don't think LTE matter to anyone besides those that live in metro cities. I am always curious to how 3G perfrom on an iPhone in Chicago suburbs. Hopefully, there will be a few more replies from the Chicagoians. Anyway, thank you for the reply sir. You're not gonna read, but you're gonna take the time out of your day to comment. What an idiot. I could have sworn T-Mobile blessed Chicago with the 1900MHz band already? I know a few people with unlocked iPhones (I live in Chicago) and they have told me that it's fast and is definitely worth looking into. Just waiting for the two areas I go to everything to get the 1900 coverage now... Then it's time to get some data on my One X.